Where Sunday school children should meet for opening and adults should meet for different Bible studies. 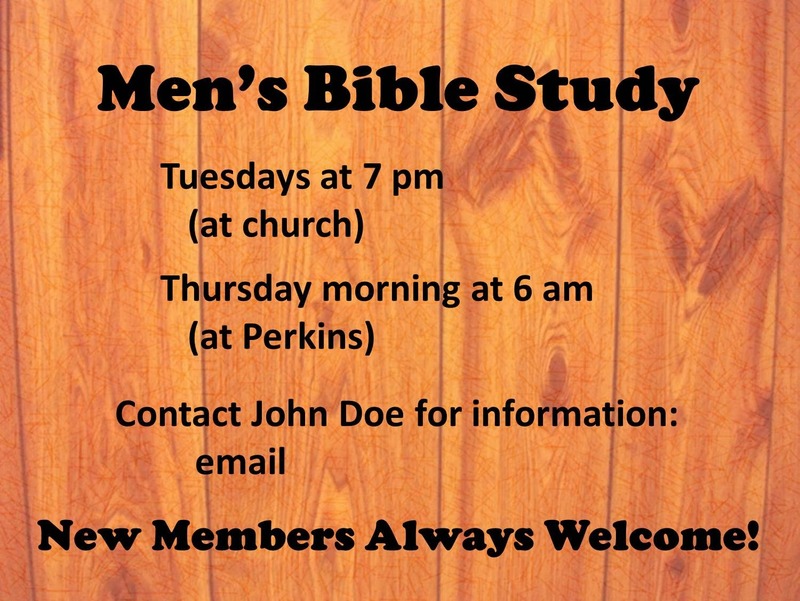 Bible studies that are held throughout the week. Important board of directors information. Ministry opportunities (women's, men's, youth). You don't need to put the entire bulletin in slides because that would be too many but highlight a few important announcements of things coming up. I suggest doing 6 to 10 slides that rotate so there aren't so many that people only see them once. It might turn out to be a very helpful way for visitors to know where Sunday school and Bible studies meet and that they're welcome to join.